COSTA MESA, Calif. ­— Orange Coast College (OCC) is making waves with a new Kinesiology and Athletic facility set to be complete in June 2020. 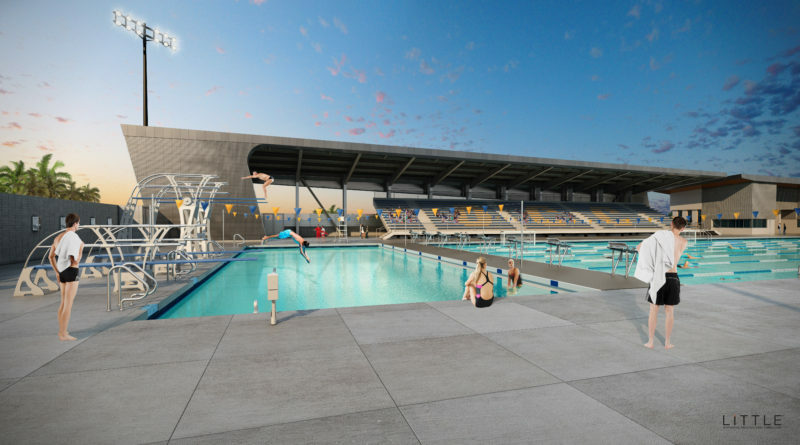 According to Coast Report Online, Little, an international architectural and design firm, is working with college officials to build a $32 million facility that houses one competition-sized pool, another pool for physical education, and several coaches offices. The project is reportedly a collaborative effort between OCC’s Kinesiology and Athletics division and the Little project team. During the early planning stages, the division’s goals were defined through visionary and programming exercises. These identified goals served as guidelines for Little’s project team by tackling both design and budgetary challenges throughout the project’s phases in a swift and efficient manner. Kinesiology, also known as the subject of bodily movement, was the main theme during the design of the facility. According to Carter, the Little team worked to maintain the concept of movement throughout the facility — from the entrance to the windows to the bleachers. Movement is reflected in the architectural elements that flow from the Northern welcoming wing of division offices and athletic training to the southern end facilitating the aquatic portion of the complex. “As the sun moves across the sky there’s a concept of movement of the shadows coming across the building and swooping over the bleachers,” said Carter. The facility in total reportedly consists of a site of approximately 113,00 square feet, with 37,650 ground square feet of conditioned program, a 9,250 ground-square-foot shade canopy, a 65-meter competition pool and a 25-yard instructional pool. Carter said that school officials had a distinct vision for the facility, wanting it to become an iconic building at the front of their campus. “At Little our philosophy when we approach design, is that we really go with what the client wants,” remarked Carter. Carter said that one of the challenges during the planning process has been holding tight to the vision for the facility amid a tough bid climate deeply impacted by steel tariffs. Even with the challenges currently facing the industry, Carter and her team worked to ensure the school’s vision to have an iconic building for students, staff, and the surrounding community was met, including it possibly being a destination for those who wish to train for the Olympics in 2028. According to Coast Report Online, the center is expected to be fully functional by early 2021 and will be moved from its current location near the school’s gym to the west side of the LeBard Stadium, next to the Adams Avenue Parking Lot. The project has reportedly been in the works since 2012 and comes as a result of Measure M, which has helped provide the school with additional funding for new construction projects. 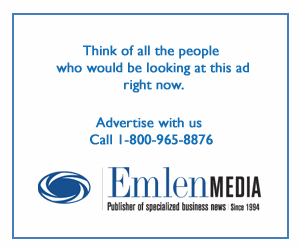 A report from the Coast Report Online contributed to this story.